CHARLO — Birch bark baskets by Dion Albert will be on display in the Ninepipes Museum of Early Montana’s gift shop from 10 a.m.-4 p.m. Saturday, July 4. This “First Saturday” event is an opportunity for visitors to meet another talented artist residing on the Flathead Indian Reservation in the Mission Valley and to view a number of his handcrafted items. Albert has been creating art for more than 30 years in many mediums, but specializes in birch bark baskets. 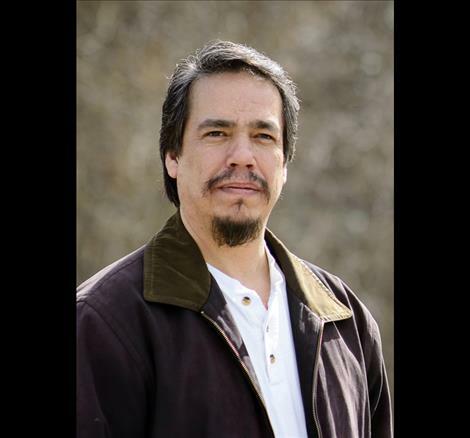 As a member of the Confederated Salish and Kootenai Tribe, Albert states he “holds to the vision of preserving the cultural integrity of the Salish and Kootenai people” through his art. He learned to work with birch bark from his father in 1997, and now designs beautifully detailed pieces that combine the past with contemporary features. Light refreshments will also be available. The museum has enjoyed a number of spring tours from schools up and down Western Montana. The sound of excited young voices enjoying their visit is an enjoyable treat. Museum personnel are also enjoying participating in the local Boys and Girls Club summer program, which runs into August with special tours and classes. The museum is open 9 a.m.-5 p.m. Mondays through Saturdays. Tours can be scheduled by calling 406-644-3435.